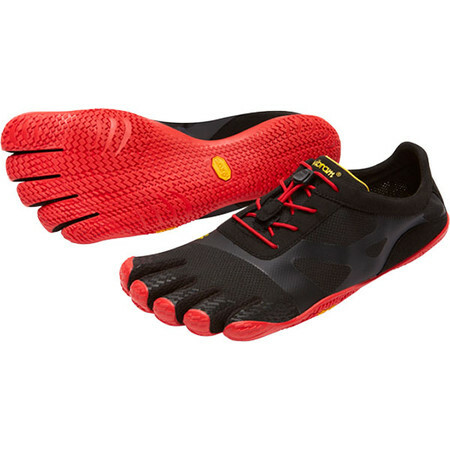 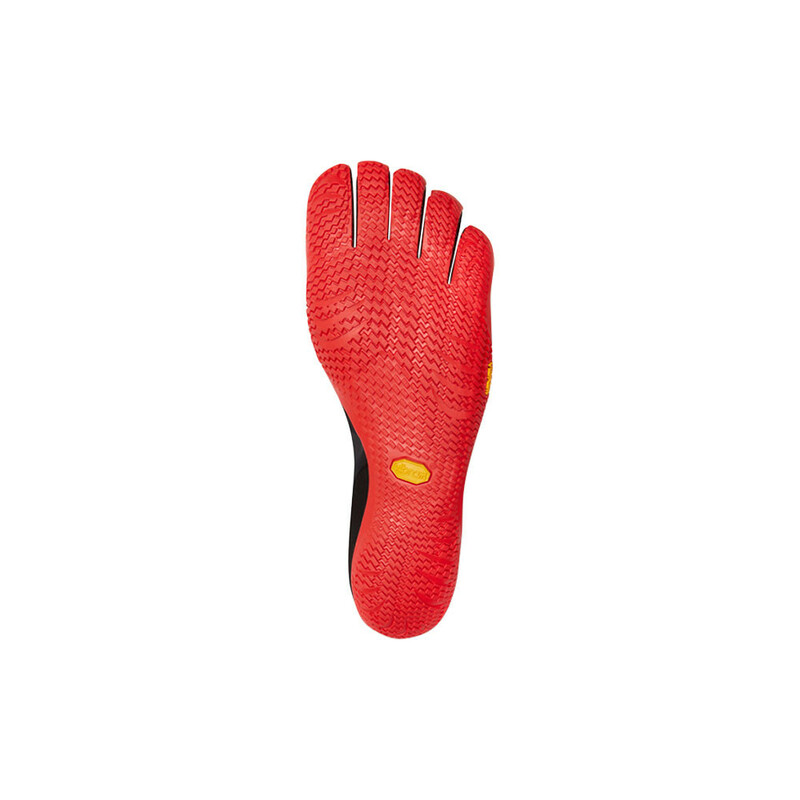 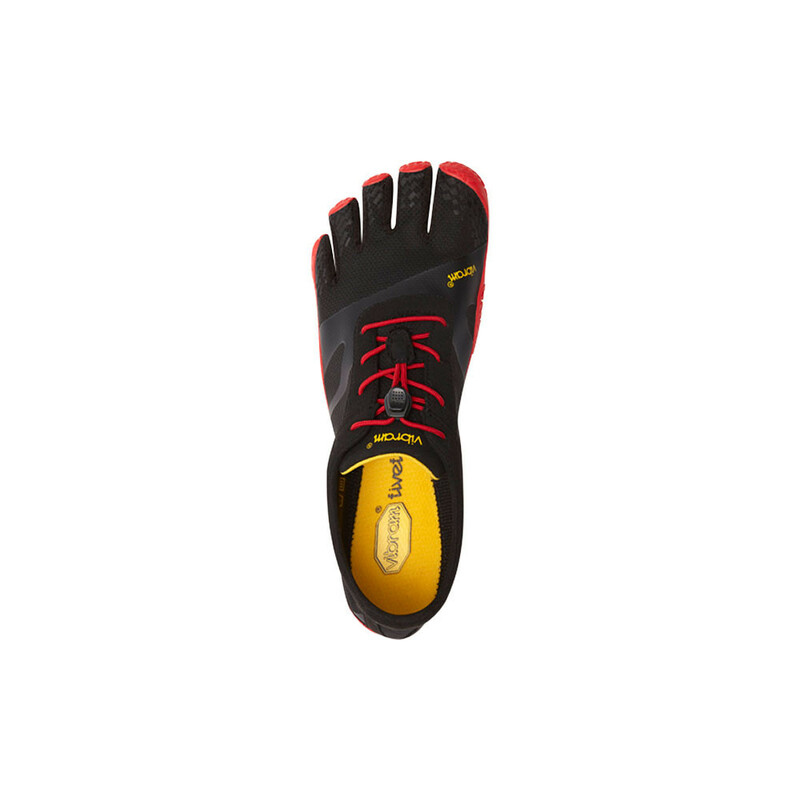 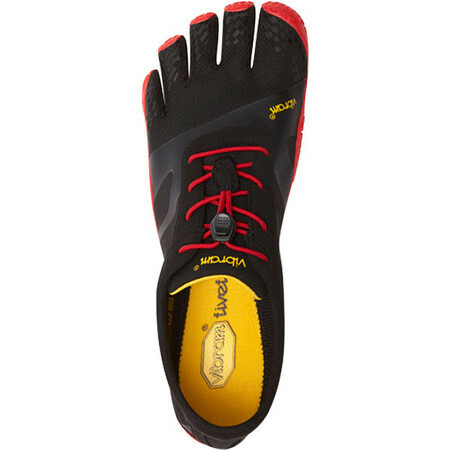 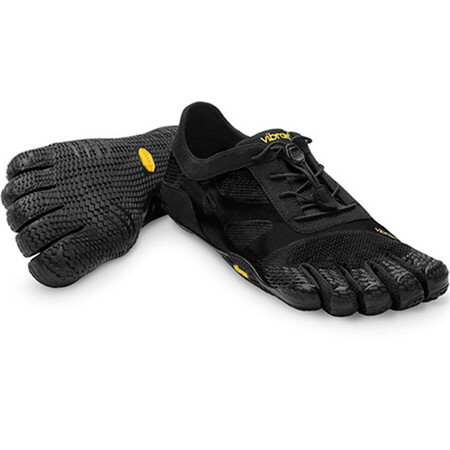 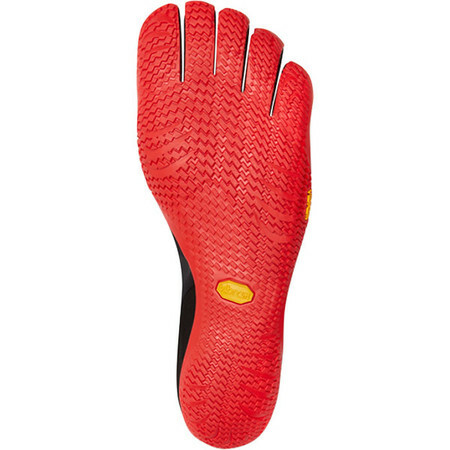 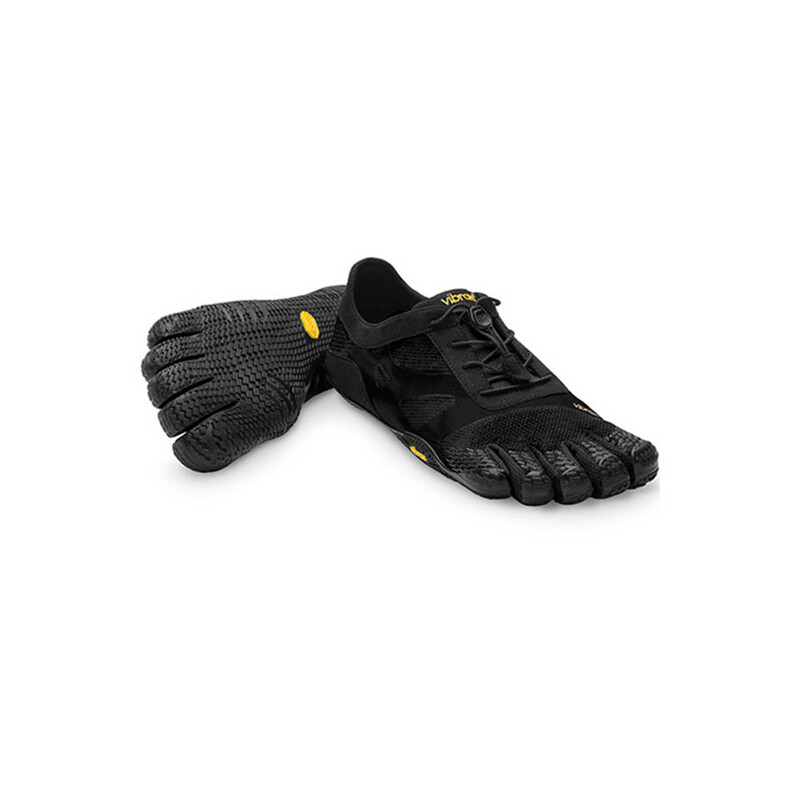 Vibrams iconic five fingered shoe the KSO gives the ultimate barefoot experience with great ground feedback and proprioception. 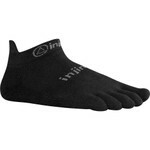 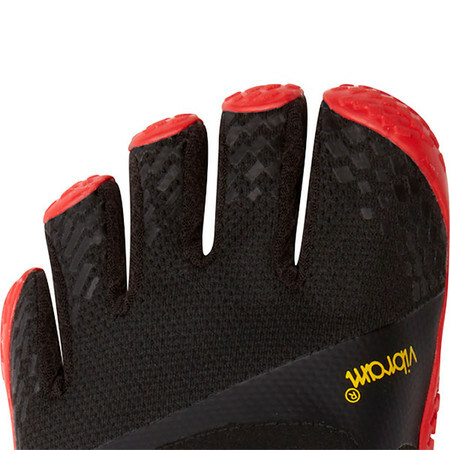 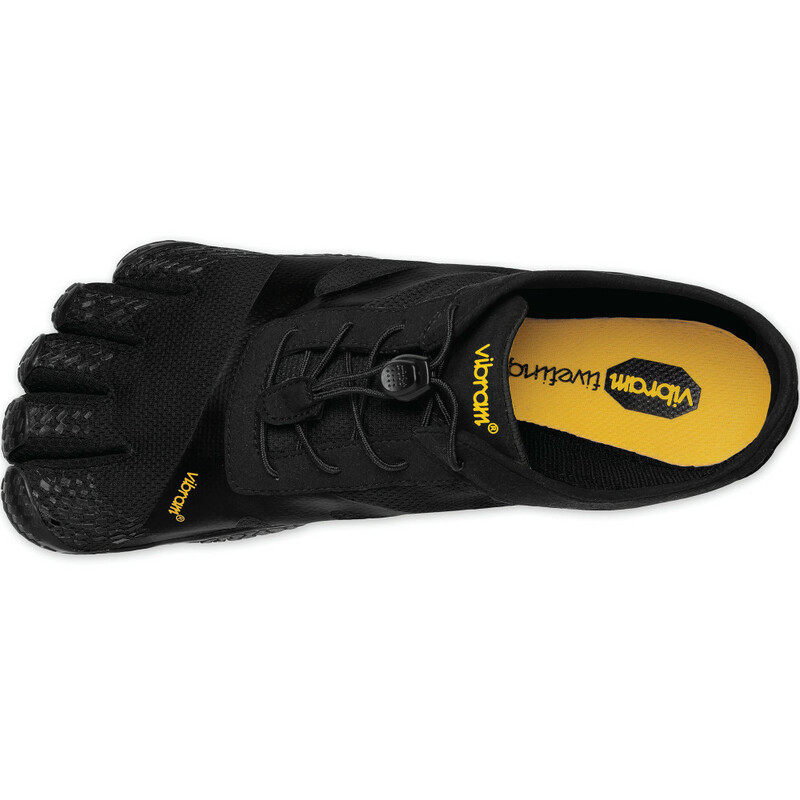 Toe pockets allow you to move your toes individually for better balance and foot-fitness. 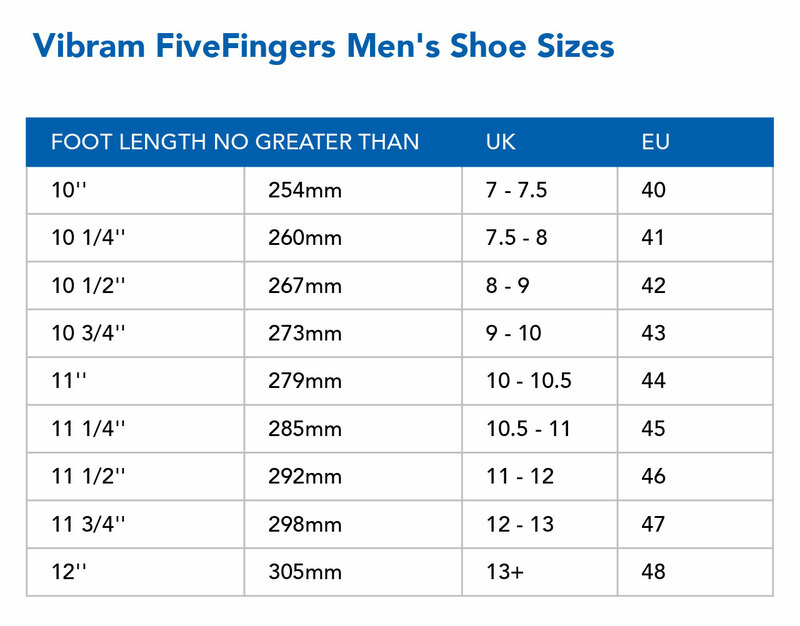 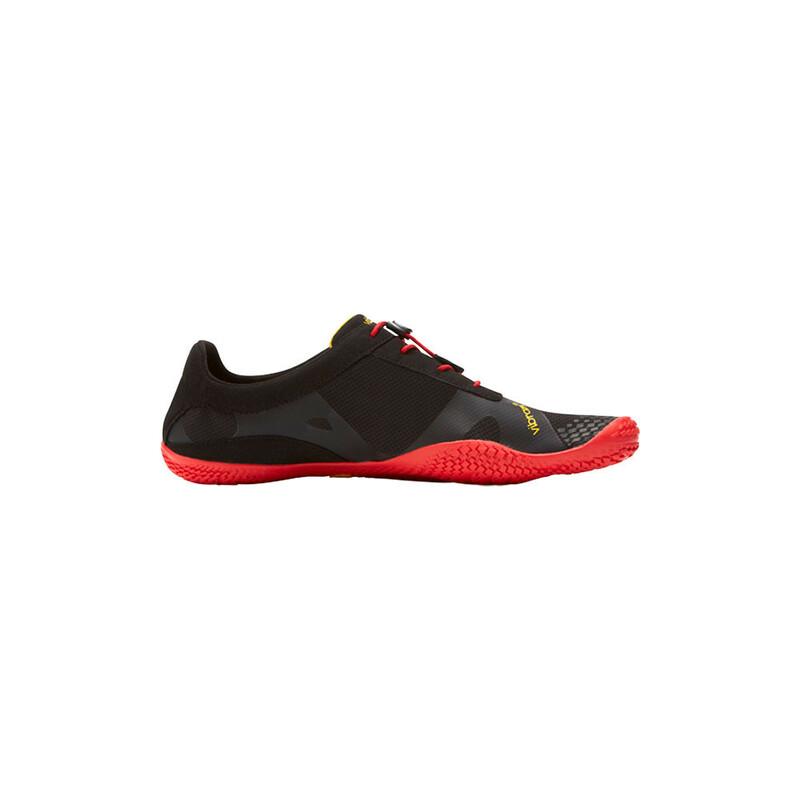 Categorized as a Max-Feel shoe, it has a super thin outsole for maximum articulation and optimum ground feel (3.5mm thick with a 2mm insole). 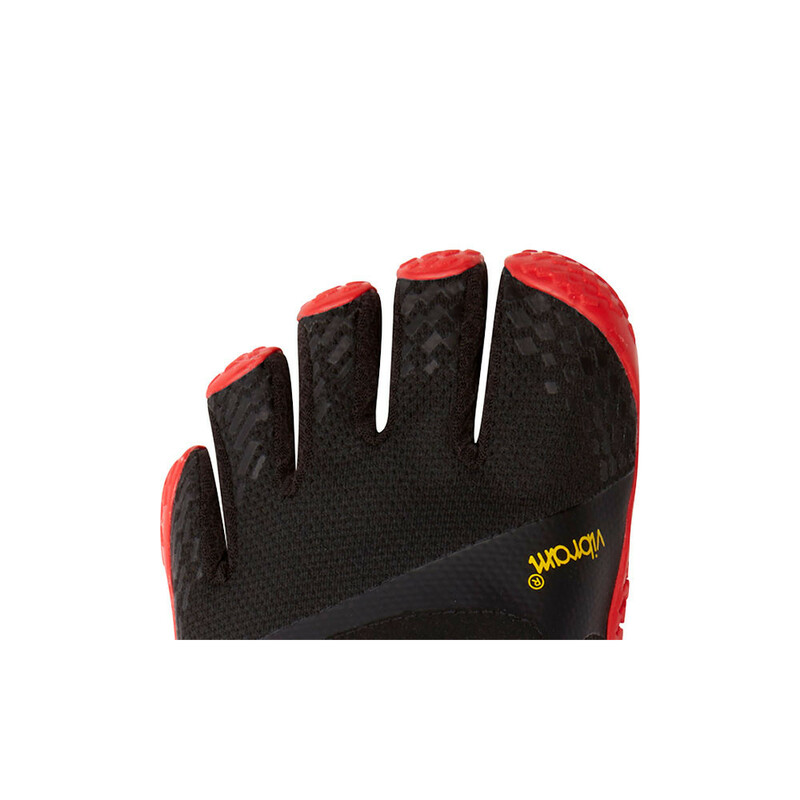 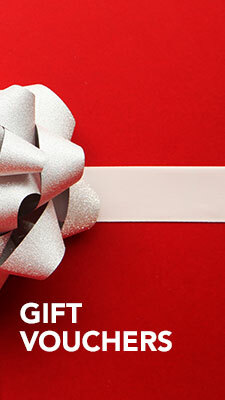 The zig zag pattern gives assured grip and flexibility. 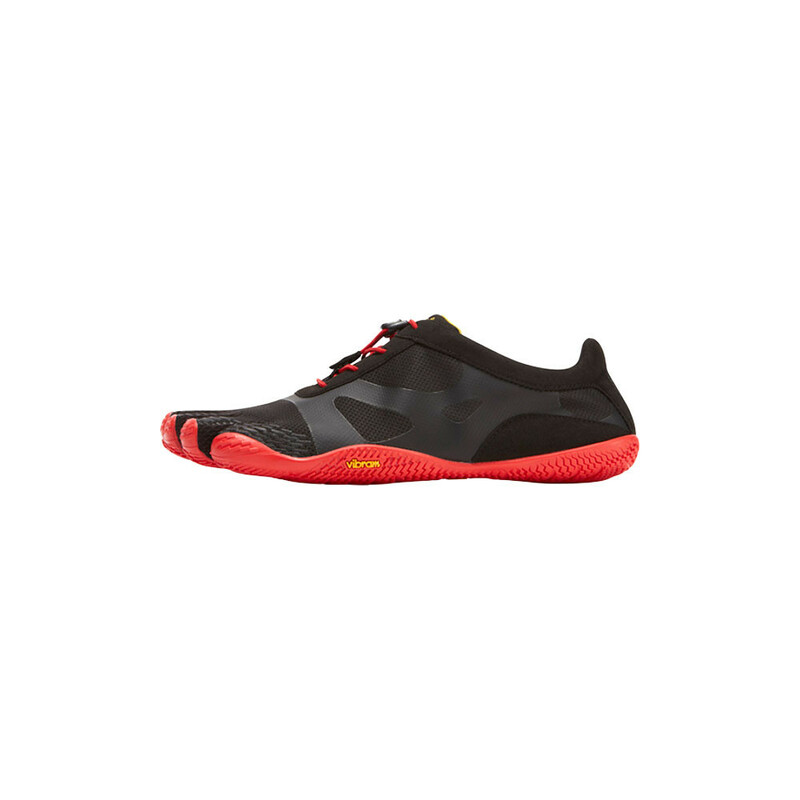 The upper is crafted from a stretchy, breathable polyester mesh with PU film overlays for protection and reinforcement. 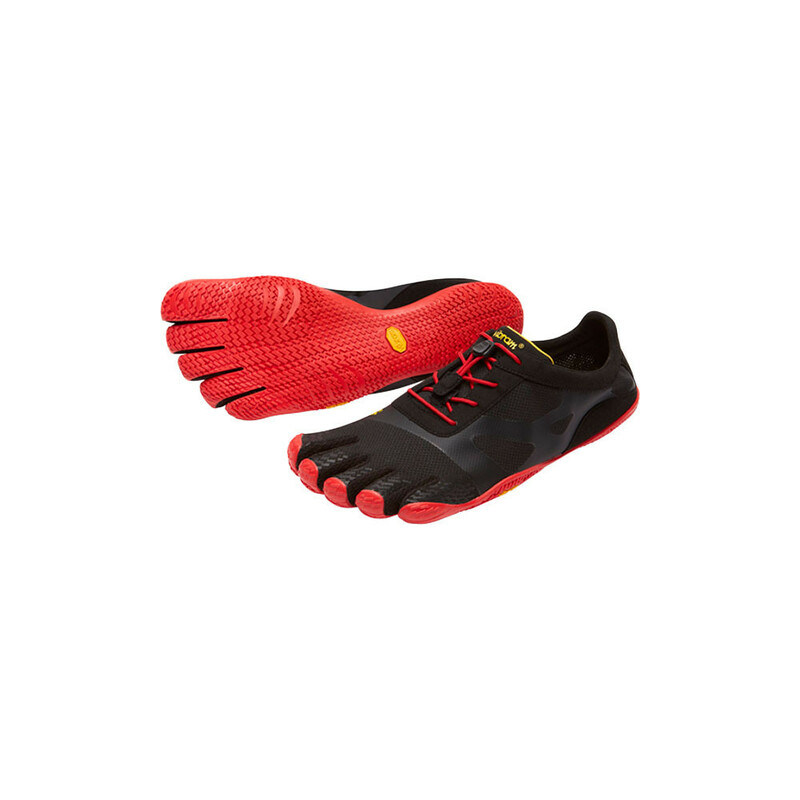 It features a speed lace system which improves fit and makes it a more viable option for a wide foot or a high arch. 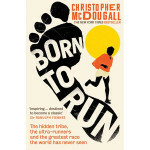 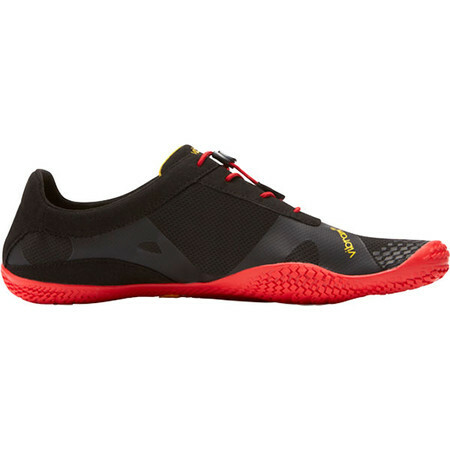 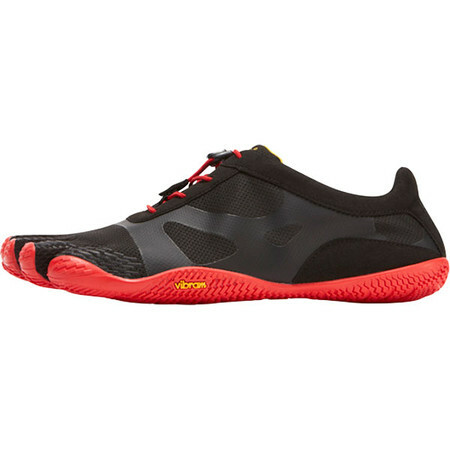 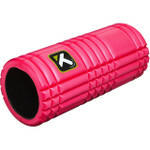 Perfect for the runner, walker or gym trainer who likes to feel connected to the ground.